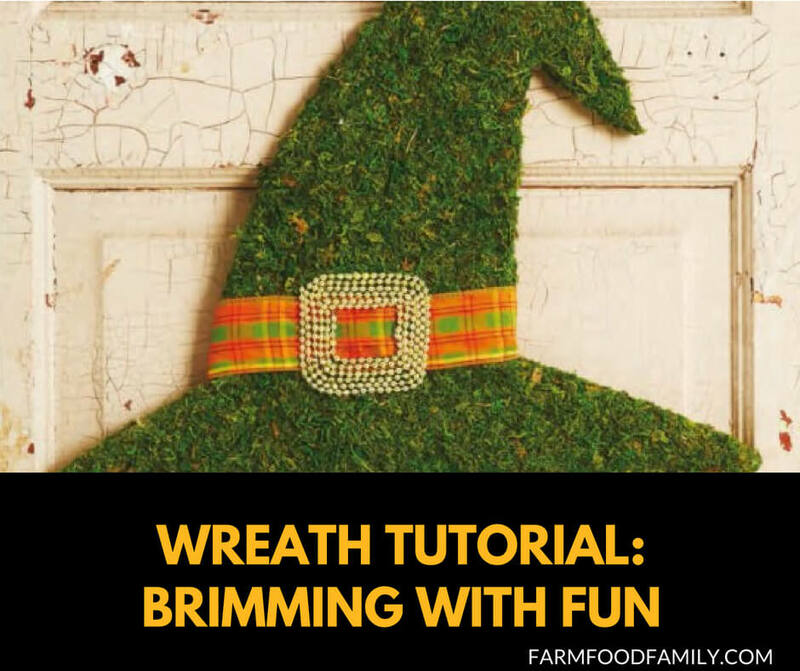 Conjuring up this charming witch’s hat wreath, right, doesn’t require casting any difficult spells. Simply cut its shape from a piece of lightweight wood, and doll it up with decorative moss and ribbon. Enlarge the Witch Hat pattern; cut out. Trace the pattern onto a piece of lightweight wood and cut out using a jigsaw or fine handsaw. Sand to smooth any rough edges. Arrange preserved moss to cover the entire wood hat; adhere using hot glue. Cut a piece of ribbon 3 inches longer than the width of the hat just above the brim. Position the ribbon on the hat; wrap the ends around to the back and secure with hot glue. Use a different ribbon or decorative ornament to make a square buckle, and glue it centered on top of the first ribbon.